This well-known Irish song is based on a a poem written by Sigerson Clifford and is titled after the street of the same name in Cahersiveen, County Kerry. The poem tells the story of Clifford’s friends during the Black and Tan period and up to the Irish Civil War. 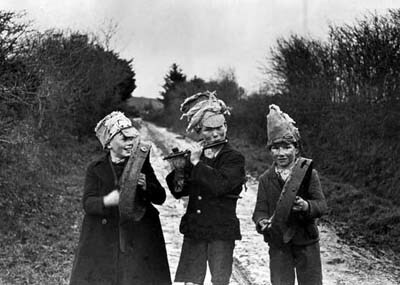 “Hunting for the wren” is an old Irish tradition on St. Stephen’s Day (December 26 – Wren Day). Here it is sung by three Kerrymen, the young Padraig Ó Sé (of Dún Chaoin, Co. Kerry) with two masters, Seán Garvey and Tim Dennehy.